Iranian critics of the country’s nuclear program don’t get together that often, but when they do, it doesn’t escape the notice of the Western press – even though they’re not actually in power. Last month, several of these critics held a conference at Tehran University bemoaning the high cost of Iran’s nuclear program, an event that was widely reported – by us, too. But do the voices of these critics even matter? Can they shake the foundations of Supreme Leader Ayatollah Ali Khamenei’s “defiant nuclear stance” and increase public support for the talks, which, according to Al-Monitor, are “hostage to internal divisions in Tehran”? For one, Iran’s moderate leaders seem to need all the help they can get: President Hassan Rouhani is struggling to ensure a successful outcome for his “biggest political gamble” by containing the hardliners who put the nuclear deal in jeopardy, while Foreign Minister Mohammad Javad Zarif was only barely backed in a snap vote over the nuclear talks earlier this month. 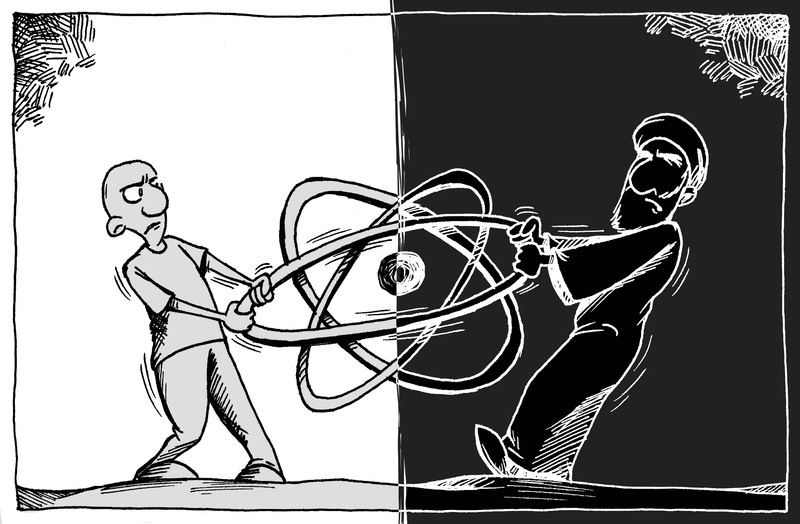 With the nuclear talks reaching a decisive phase, support for the negotiations within Iran is more important than ever. Rouhani and Zarif are struggling against their political opponents, but whose side is the Iranian public on?